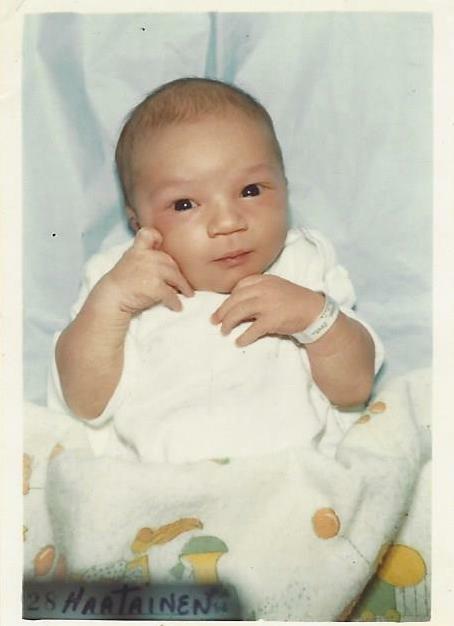 Thirty-five years ago right now, I was in the midst of a 21-hour labor. I had a terrible cold, which prevented my breathing through my nose. As the tissues piled up beside me on the bed, the pain increased. The hospital nurses had me lying flat for hours, despite my urge to be upright. Finally, when the shift change happened at 3:00, I was encouraged to sit up, as "it would speed things along." How frustrating. It wasn't until they broke my water at 6:00 p.m., however, that things really started progressing. What makes my labor stand out, however, isn't the method or the length or anything like that. It was the fact that I wouldn't be walking out of the hospital with a newborn in my arms. Nope. Someone else would be her mommy. Someone else would feed her and change her and wipe her runny nose. Someone else would see the first smile, photograph the first steps, hear the first, "I love you, Mommy." These were excruciatingly painful thoughts for me. For years, I imagined where my daughter was, what she was doing. For years, I longed to hold her in my arms again. Yet, this was my choice. Uninfluenced by anyone else, I chose to give her life and then to give her away. Even though I am one, or perhaps because I have an intimate understanding of them, birth mothers are heroes in my eyes. Please don't think I'm trying to toot my own horn here. Just because I'm part of this special club doesn't mean I shouldn't admire the other moms out there who have been, or will be going through this. It's like AA for those of you who are alcoholics. Don't you celebrate others' milestones of sobriety? Well, today, I celebrate the birth mothers out there who selflessly put their babies' well being above their own desires. Wouldn't it be easier to simply abort these "unwanted" children? Of course. Wouldn't it be easier, in some ways, to change your mind and take that baby home with you? Perhaps. But love isn't about what easiest, is it? A mother's love transcends convenience and desire. A mother's love is sacrificial. So today, as I honor the sisterhood of birth mothers, I think about the child I gave up for adoption, and I smile. Some choices are cause for celebration. Apparently there was something to the lyrics of this song. 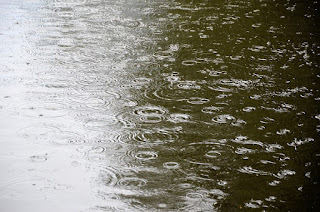 Apparently, rainy weather can bring out the worst, not only in adults, but in children, too. 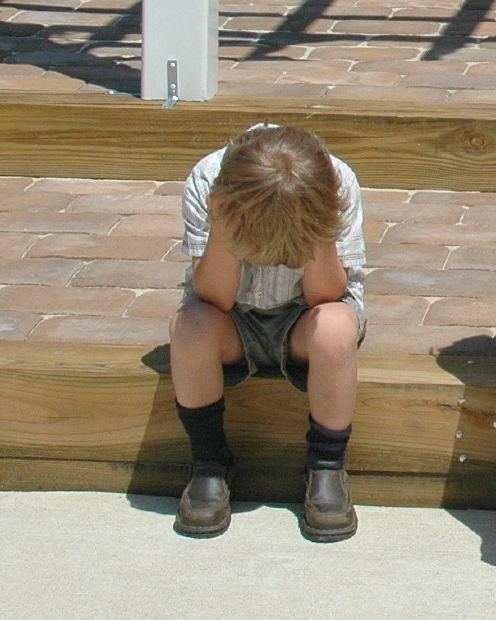 If your kids are acting especially cranky, blame it on the weather! In 1898, Edwin G. Dexter conducted a research study in several schools in Denver, Colorado. He found that in over 600 corporal punishment cases, weather was clearly a key factor. 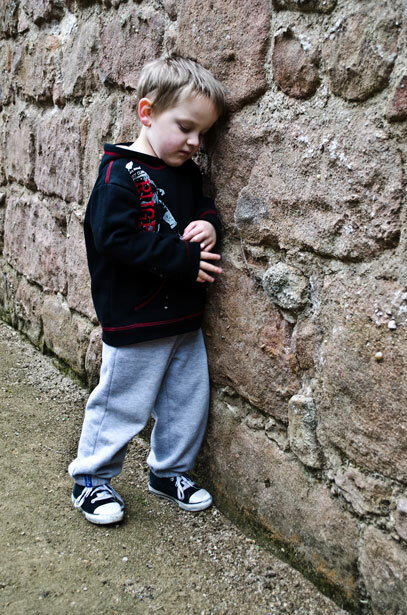 But there is even more recent evidence indicating that a change in barometric pressure is directly responsible for kids acting up. 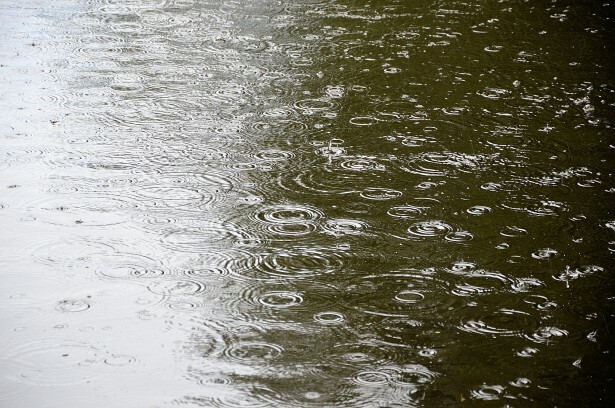 Since children's brains are not quite developed yet, falling barometric pressure creates an atmosphere that constricts capillaries, reducing the amount of oxygen that gets to the brain, according to Dr. Maria Simonson of Johns Hopkins. This goes with stormy weather as well as full moons. That means, following last night's blood moon, kids are in for a double whammy here in Pittsburgh. Look out! The fact is that full moons and falling barometers affect many. We already know that maternity wards fill up when the moon is full, but did you know that the jails fill up, too. Domestic violence cases soar, as do bar fights, and even murders. According to Michael Zimecki, of the Polish Academy of Sciences, lunar activity influences both behavior and health. I could cite study after study, but let's face it -- the only thing that concerns you right now is that toddler bouncing off the walls, or the whiny teenager who's suddenly crying at the drop of a hat (or iPhone, which might be worth crying about). Is there a solution? Not that I know of. But knowledge is power, right? And I'm arming you with the knowledge that today, all over the world and especially in Western PA and other rainy places, you might need an extra boost of patience... both for your kiddos and for yourself. After all, rainy days and Mondays and full moons affect us all. Why not let Karen soothe you? Maybe she can even calm the kiddos. Here, let me roll these tiny needles across your face. Yes, please. Disclaimer: The following review contains affiliate links. I received product and/or compensation in exchange for this post. Bad skin has plagued me for most of my life. From the time I was a preteen until I was in my 40s, I had zits. Zits and zits and zits. Perhaps it's why I still cringe when I hear the word "pimple." Hate that word. By the time I was in my 50s, my skin cleared up, but by then, wrinkles replaced the zits. Not fair! A couple of years ago, as I entered into menopause, I started to experience the sandpaper effect of aging skin. Good grief. Bottom line, I've never liked my skin. Until recently. Several months ago, someone contacted me about doing a review of a skincare product I'd never heard of. The Banish dermaroller is something unlike anything I've ever seen, tried, or even wanted to try. But I decided to go for it. Couldn't hurt, right? Well, maybe a little bit. You see, the dermaroller is made up of tiny little surgical needles. What it does is it uses your own body's defense system to build collagen in the skin. At my age, my skin is starting to sag due to the loss of collagen. By rolling the needles across my skin, microscopic punctures are created, causing damage to the skin. Yes, I said I am purposefully damaging my skin. Why? Because my skin, in order to protect itself, then creates more collagen, firming up my formerly sagging skin. Make sense? Of course, I don't just allow my skin to be damaged without offering a solution. 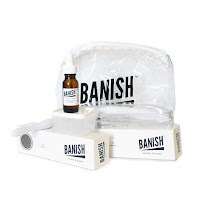 Banish has a natural Vitamin C serum that helps rebuild collagen and elastin fibers. The results? After using the dermaroller every other week for the past few months, my skin is firmer and many of my wrinkles have nearly disappeared. I use the Vitamin C serum nearly every night, which I'm sure is helping. 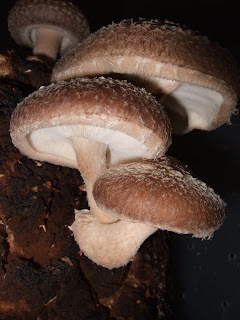 This past week, as I mentioned in Tuesday's blog post, I've been dealing with a shiitake mushroom rash. While I can use a steroid cream on my body, I cannot use it on my face. I've been so happy to be able to use the Banish Aloe Vera serum to heal the facial rash. It's worked wonders. So how much do I love the Banish line of products I received to review? A whole lot! Especially because, for the first time in my entire life, I received a compliment on my skin. A friend stopped over one morning following a night when I used the dermaroller. When I opened the door, she smiled and said, "Wow. Your skin looks beautiful. It's glowing." That's when I knew I was sold on this product, and I think you will be, too, if you give it a try. An aside here -- you'd probably love to see before and after pics. But I'm simply not comfortable being seen without makeup. It's something I'm working on, but not yet ready to expose myself to the world that way. Sorry. Using organic plant sourced ingredients, Banish has created its skincare line to be both gentle and effective. They're even eco-conscious when it comes to packaging and they do NOT use cheap fillers in their products. AND they never test on animals. Their main purpose seems to be to banish scars, but for me, scars weren't an issue. Loss of collagen was. So, you see it's not just for older women like me. 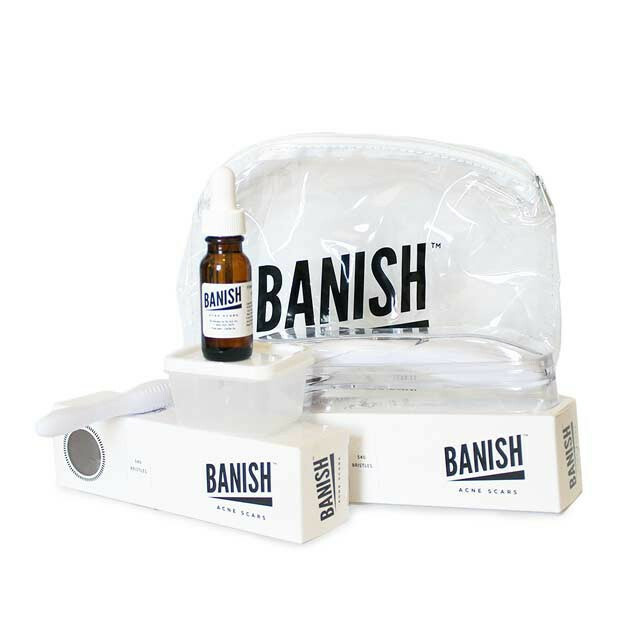 Banish is also perfect for anyone who wants smoother, clearer skin. There's lots of information on their website about the purpose of each of their products. They even have a body roller to get rid of scarring in other places other than your face. There are serums and masques and scrubs and even all natural Eau de Rose for those of us who have ditched the perfumes and colognes but still like to smell pretty. The products are not cheap, but Banish has all sorts of deals going on. And, compared to the cost of other treatments, it's actually quite a good deal. I encourage you to check out their website and the wide variety of products they have to offer. And if you decide to purchase something by using this link, you'll even help out Green Grandma and put a little money in my pocket. It's a win/win for both of us! Keep that shiitake away from me! What a week. Last week at this time, I was heading out to meet a friend for a late breakfast. I had an errand to run before we met at 11. At 10:24, I received a text from her that she wasn't coming. I was not a happy camper. Over the last 40 years since we've been friends, she's done this to me more times than I can count, which is why years will go by without our seeing each other. But I had to be in her neighborhood last Tuesday, so I contacted her on Monday to make arrangements. Don't you hate when people are unreliable? I sure do. Rather than going somewhere for breakfast, I decided to go to PF Chang's for a lettuce wrap. Apparently that was a bad decision. Remember my post last week about getting sick from touching the utensils on the salad bar? Well, that may be the reason I started out with a sore throat on Tuesday, but it's certainly not the reason why I had an emergency situation with my asthma. Nope. My breathing problems stemmed from under cooked shiitake mushrooms in the lettuce wrap. Since I am asthmatic, I assumed it was asthma. But I was wrong. And I could have died. As I struggled to receive relief by using an inhaler that had expired over a year ago, I kept having visions of scenes from The Hand That Rocks the Cradle. If you've seen the movie, you know what I'm talking about. I haven't needed my inhaler in years, which is why I didn't realize it had expired. Yeah. That. All over my body. Fun times. But I don't want this to be a "poor me" blog post. I'm writing it to educate you. The thing is, I am not allergic to shiitake mushrooms. I've eaten them many times without any kind of reaction. However, if they are not cooked thoroughly, they can be toxic. The rash is my body's reaction to the toxin lentinan, which decomposes when heated. But if it's not heated well enough, the decomposition is incomplete. Thus the reaction. In this case, unlike the previous one, I first experienced a closing of my airwaves. Two days later, the rash appeared, which can happen anywhere from one to three days after eating the under cooked mushrooms. The flagellate dermatitis was the telltale sign that let me know what was really happening. Last year, as soon as the dermatologist took one look at me, he asked, "Have you eaten any strange mushrooms lately." He knew right away it was a shiitake mushroom rash. Unlike an allergic reaction, this toxic reaction occurs when the lentinan causes dilation of the blood vessels which in turn leak small amounts of inflammatory compounds just beneath the skin. It's not intensely itchy, so the marks are not caused by scratching. I find the itch mildly irritating, but it's nothing that's driving me crazy on a minute-to-minute basis. But it is ugly. The rash on my arms is not whip-like. Rather, there are just raised red bumps everywhere. Without touching it, someone might just suspect sunburn, but running your fingers along it reveals a different story. Treatment involves an expensive steroid cream that, by absorbing into my system through my skin, causes my blood glucose levels to rise rather dramatically. Lovely. Lessons learned and lesson shared: Avoid under cooked shiitake mushrooms. In my case, I'll be avoiding them altogether. When in restaurants (particularly Asian restaurants), ASK. Just think, had my friend met me for breakfast last Tuesday, this post would never have been written. Perhaps it just might save one of you from experiencing the nasty shiitake mushroom rash I'll be living with for another week or so. "Knowing right from wrong is a concept that takes time and experience to understand. Young children need adults to watch them and protect them from harm because they can't be expected to remember all of the rules and limitations set for them. 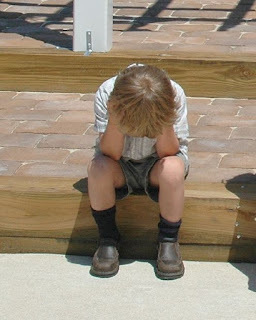 It is normal for young children to misbehave because they are just learning the rules." I've been sick this week. It started with a sore throat on Tuesday morning. By Wednesday morning, it was a severe sore throat. Oh no, I thought, is this strep? But, I didn't have a fever, so I figured it was just a virus. Then the long-absent-from-my-life asthma flared up. Not able to breathe, I sent my husband into my office for my inhaler. He found it and I used it. No real relief. Then I discovered it expired early in 2014. Yikes. I called my doctor and she immediately called in a prescription for a new inhaler. Then I ran into a whole insurance mess, which I won't go into here... just know that I would NEVER recommend Highmark Blue Cross/Blue Shield to anyone. They are a bunch of idiots in the billing department. Finally, after an hour on the phone with Highmark, they called the pharmacy to straighten out the mess and I was able to get my inhaler and breathe again. It was scary and I cannot believe I had to go through all of that. The whole incident made my blood pressure hike and exhausted me. I went to bed by 9 and woke up 12 hours later, although my husband said I coughed all night. I believe him, due to the feeling of bruised ribs on both sides. Now when I cough, I hold on to my ribs, just to ease the pain a little bit. The next morning, I woke up with a fever. My sore throat was better, but the cough and chest pain had me thinking pneumonia. Maybe I should go see the doctor. As my fever went up, I actually started to feel better, so I held off. After all, it would have been another insurance nightmare and I didn't have it in me to deal with it. I'm using my inhaler every 4 hours, as directed, and am feeling much better (except for those doggone ribs). In the meantime, my daughter was experiencing similar symptoms (sans asthma), which started on Tuesday as well. We looked at commonalities. We were both as a book festival on Saturday, church on Sunday, and then out to lunch after church. We went to a buffet... wait... we went to a buffet. Bingo. 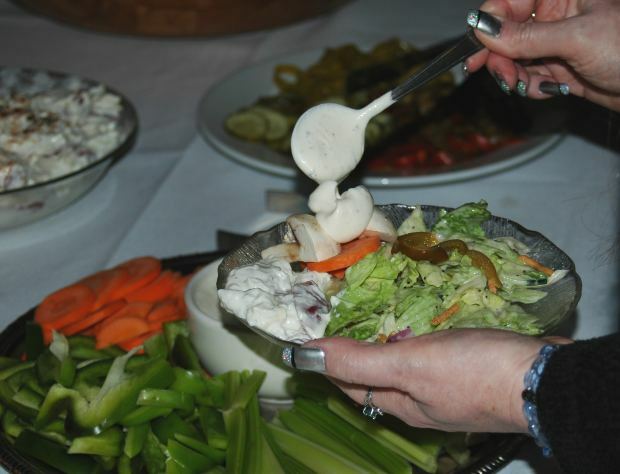 Have you ever thought about all the germs on the serving spoons and tongs on a buffet? YUCK. I'm pretty well convinced that we both picked up something from the utensils at the buffet. So what do we do from here on out? After all, we like Sunday brunch buffets? It's quite simple, actually. We just have to have hand sanitizer (non-toxic, of course) at the table and insist that everyone, including my 6-year-old granddaughter, use it after each trip to the buffet table/salad bar. Make sense? I hope all of us can avoid getting sick from germs on the utensils simply by following this little bit of advice. It's like washing your hands before you eat. But in the case of a buffet, you have to "wash" them over and over again. With cooler temps on the horizon, it's time to start thinking about how you can save energy in the cold months. Guest blogger, Trisha Miller, offers her tips on how to make that happen. Fall and winter are right around the corner and these seasons are notoriously synonymous with energy sucking and high bills. Outside of the normal turning down the thermostat and setting it on a timer, there are so many home improvements and easy tips that can help save some warmth, comfort, and peace of mind during the upcoming holiday season. So, fire up those lights and make your best pumpkin pie because eco-Santa Claus is coming to town. The first step is wearing seasonally appropriate clothing to save on heating costs. Not that you have to wear coats and mittens inside, but wearing a tank top and shorts inside just so the heat can be cranked up is not the way to go. Being comfortable in a long sleeve shirt or sweater and pants or sweats is a much better option. Use the sun to heat your home and open up those blinds during the day, but be sure to close them at night. The house will heat up a few degrees while it’s light out, more than it would if blinds were covering the windows. Also, think about purchasing some weighty drapes. This helps to trap in the heat a bit better than sheer curtains. 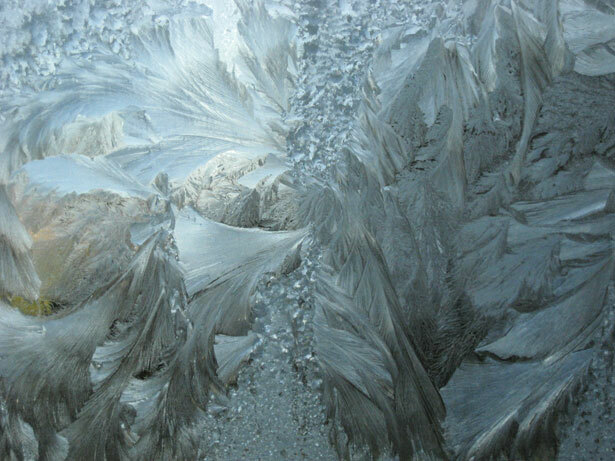 If there are cracks or spaces around windows, this will stop heat from escaping so quickly. Of course, covering any leaky areas around the window is also a good idea. This can be done by taping a plastic bag around the entire window or sealing the crack with tape or caulking. If you want to really go the extra mile, check your attic and crawl space. Insulate your attic either by yourself with foam pads from the store or hire an insulation expert to spray foam insulation to trap in that much more heat. This will stop heat from escaping right through the framing at the top of your home. Make sure you look into eco-friendly options. Take advantage of sleep time and out of the house time. Set your dial a few degrees back when you are sleeping or when you are out of the house. Some sites say to set the dial back by 10 - 15 degrees while sleeping or away from the home. However, others argue that doing so will cause your heater to work overtime when you arrive back home or wake up. I suggest just dialing back a few degrees instead. Maintain furnaces and thermostats by having them checked frequently or at least tested by a professional before the cold season hits. Having to fix an entire unit after it breaks will be much costlier than paying for an annual tune-up. Lower the temperature on your water heater. Some homeowners are not aware of this trick. If you check your water heater there is a knob on the outside that allows for higher water temperatures if necessary. This can usually be turned down and will work just as well as before. It may not get scaling hot right away, but nobody needs that anyway. Buy energy efficient lights to lower costs on decorative holiday lights. There are energy saving lights available at most stores. That extra 2 or 3 dollars could save much more over the entire holiday season. "Be consistent. This is actually the most important key to effective parenting. Inconsistency is completely ineffective. Your son is on a play date, and he hits another child. Reprimand him and explain that if he hits again, you'll take him home. If he does it again, pack him up and leave -- even if it's inconvenient. It's never easy to stick to your guns with a threat or a punishment, but the second that you give in, you lose all credibility."